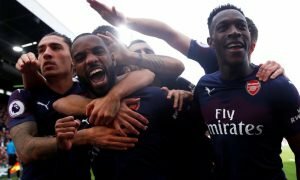 Arsenal line up bid for Wigan star | The Transfer Tavern | Where football transfer rumours fly or die! Arsenal fans sat in the Football Transfer Tavern were left discussing the potential of James McCarthy after Mirror Football suggested that Arsene Wenger is ready to move for the £8 million rated Wigan Athletic midfielder. Matt Law from the Mirror gathers punters around the pool table to outline how Wenger views the 22-year-old as the next big talent to emerge from Wigan and is preparing a January offer for the Republic of Ireland international. “It’s rare for a player so young to have such composure on the ball, but there is even more to come. He has another two steps to go to fulfil his potential, and I can guarantee he will do that, declared the Wigan manager. 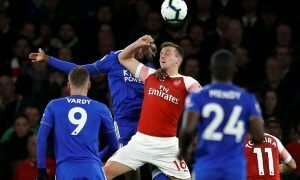 There are also suggestions that Arsenal want Montpellier captain Mapou Yanga-Mbwia and Atletico Madrid striker Adrian Lopez as Wenger seeks to guarantee another year in the top four of the Premier League. McCarthy to Arsenal? Vote in our polls below.